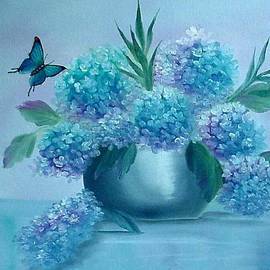 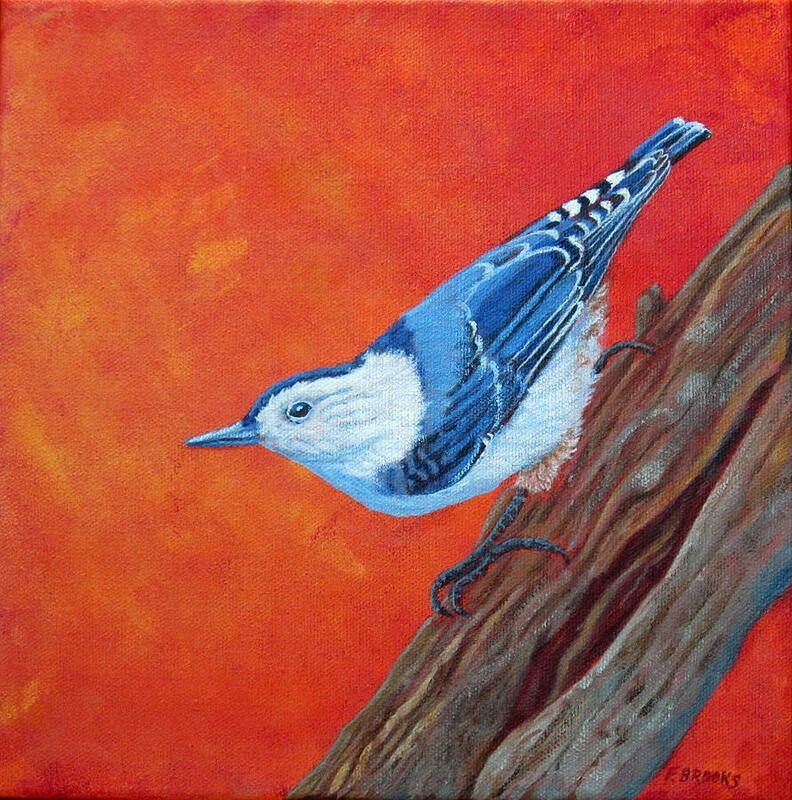 Fran is an award winning, internationally collected artist residing in the beautiful Blue Ridge Mountains of Western North Carolina, who paints in oils, acrylics and some mixed media. 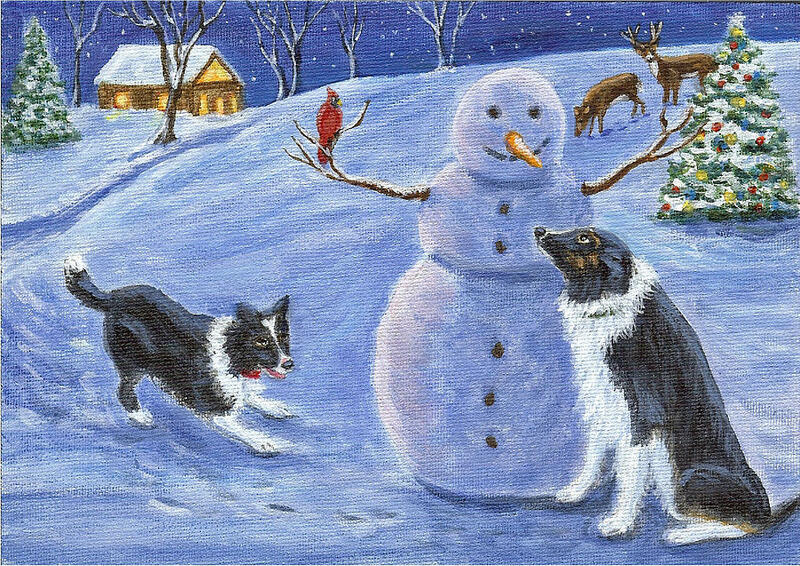 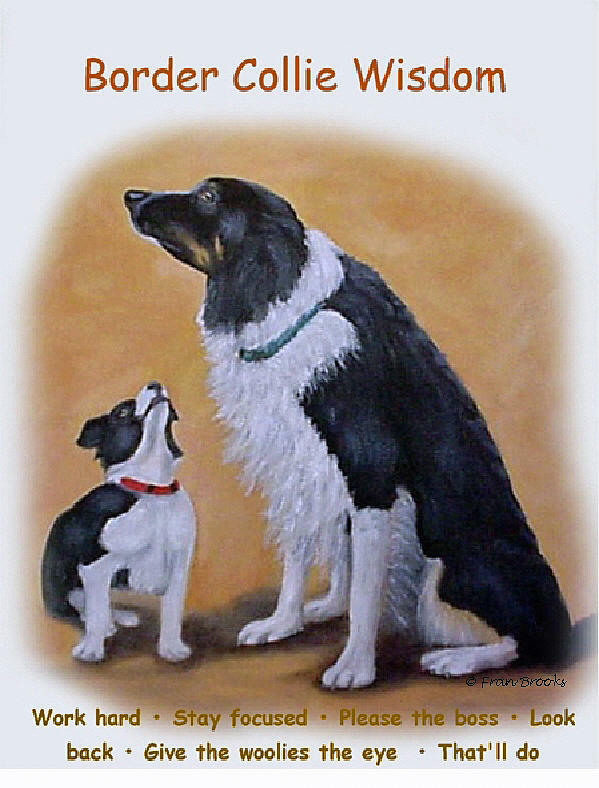 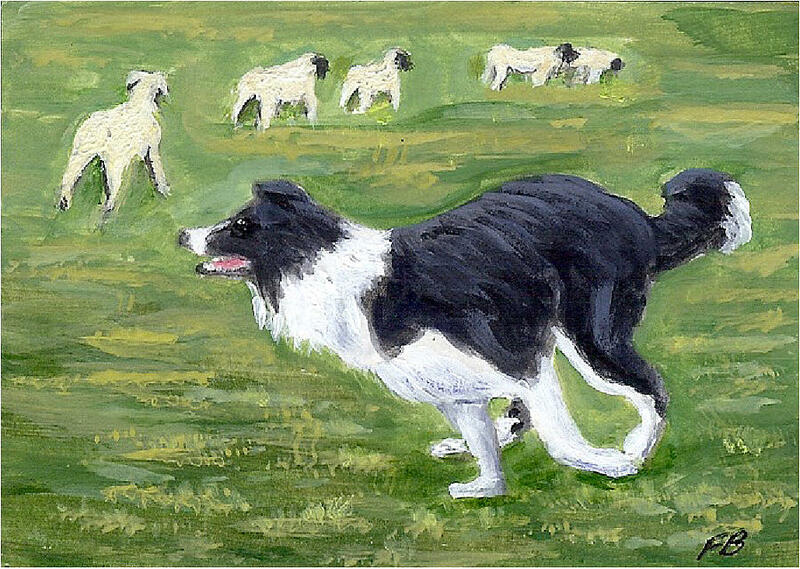 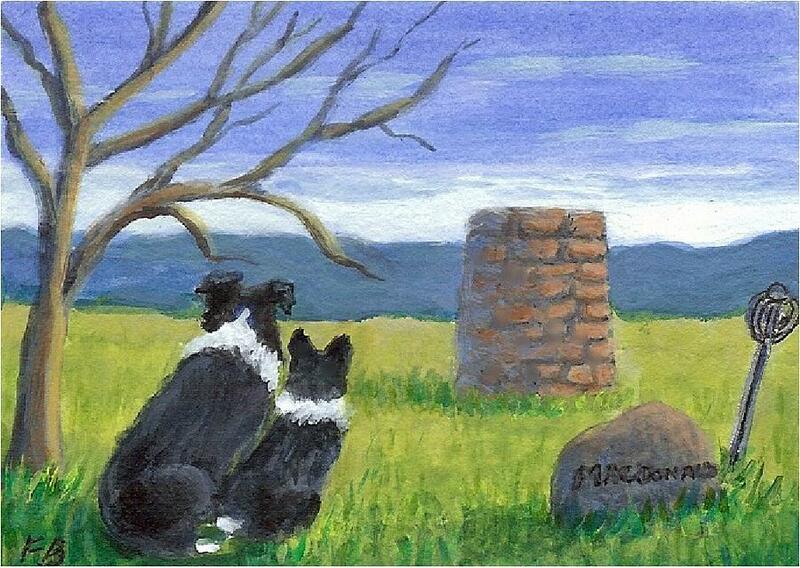 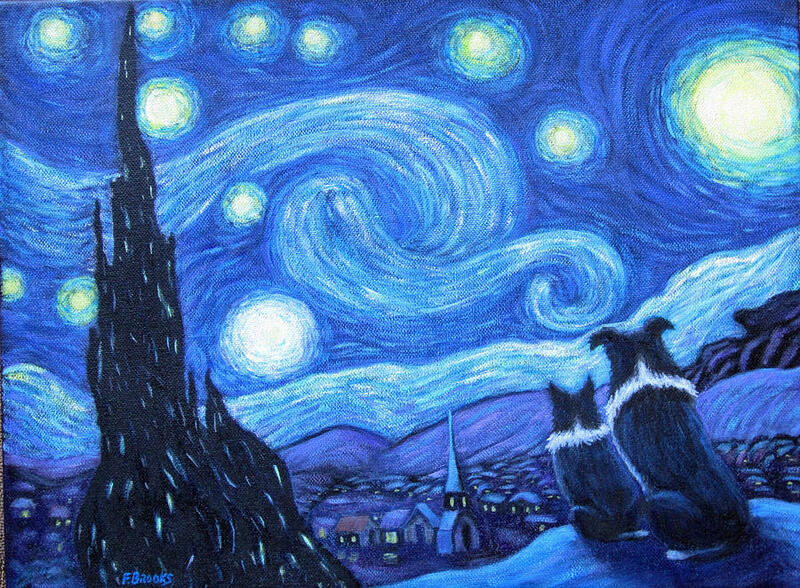 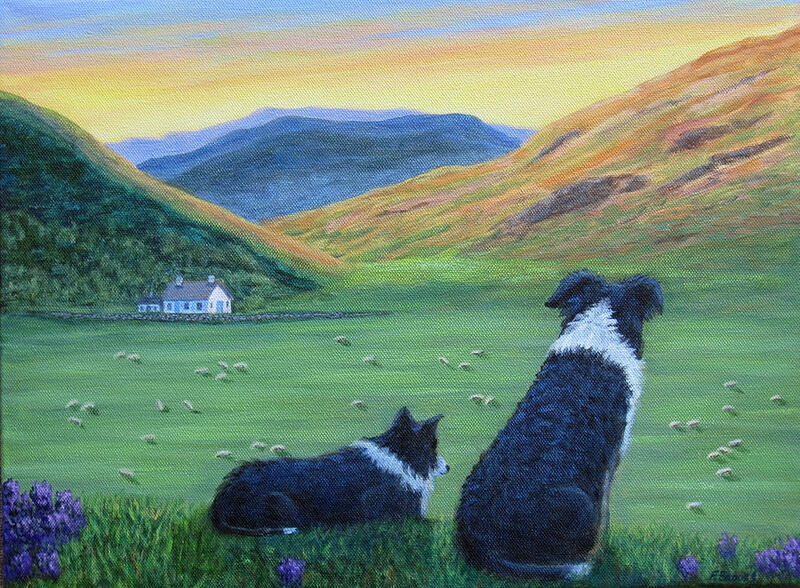 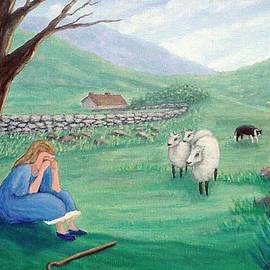 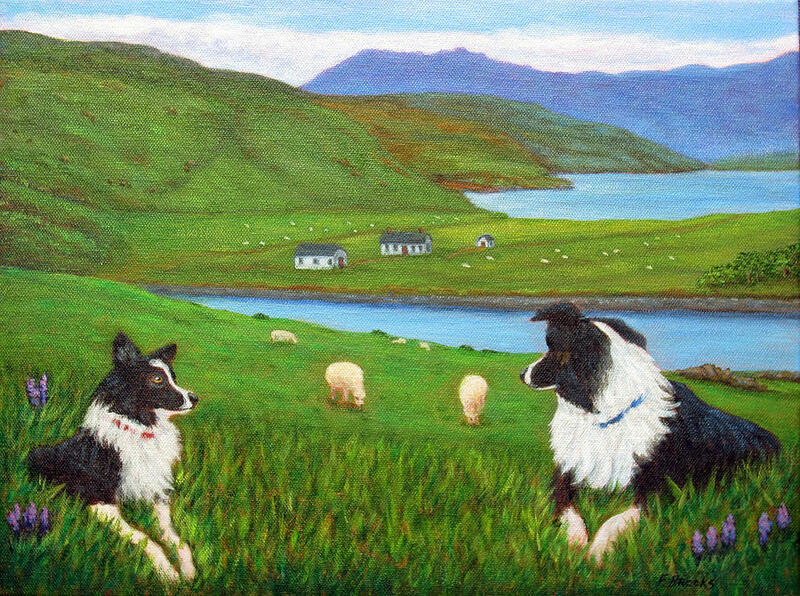 Fran and her husband, Bill, live in a log cabin with their Border Collies, Sammy and Breagh, who have been the inspiration for many paintings. 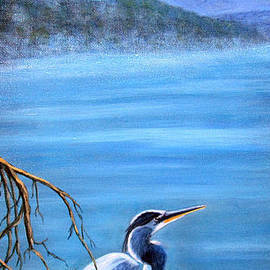 Her greatest inspiration comes from the natural beauty in the surrounding mountains with the abundant wildlife. 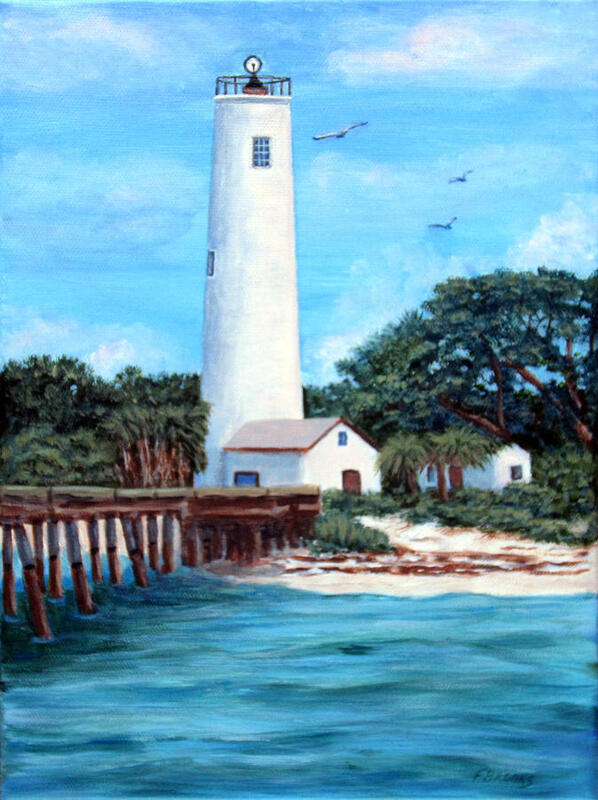 Basically a self-taught artist, Fran has studied the works of noted landscape and seascape artists with her style evolving into realism with occasional impressionism. 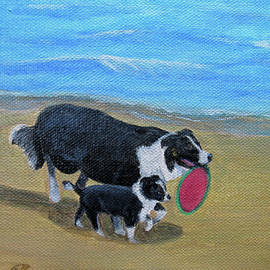 Her subjects include landscapes, seascapes, lighthouses, wildlife, dogs (esp.Border Collies), birds, butterflies, still life and occasional fantasy. 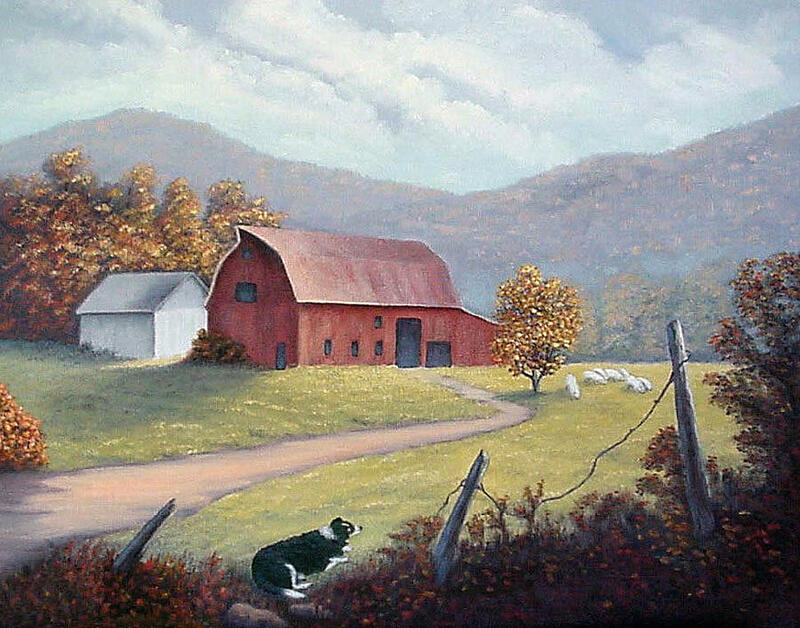 Fran enjoys starting with a captivating landscape, adding the appropriate animal or bird to complete the theme, oftentimes hiding a critter in her painting. 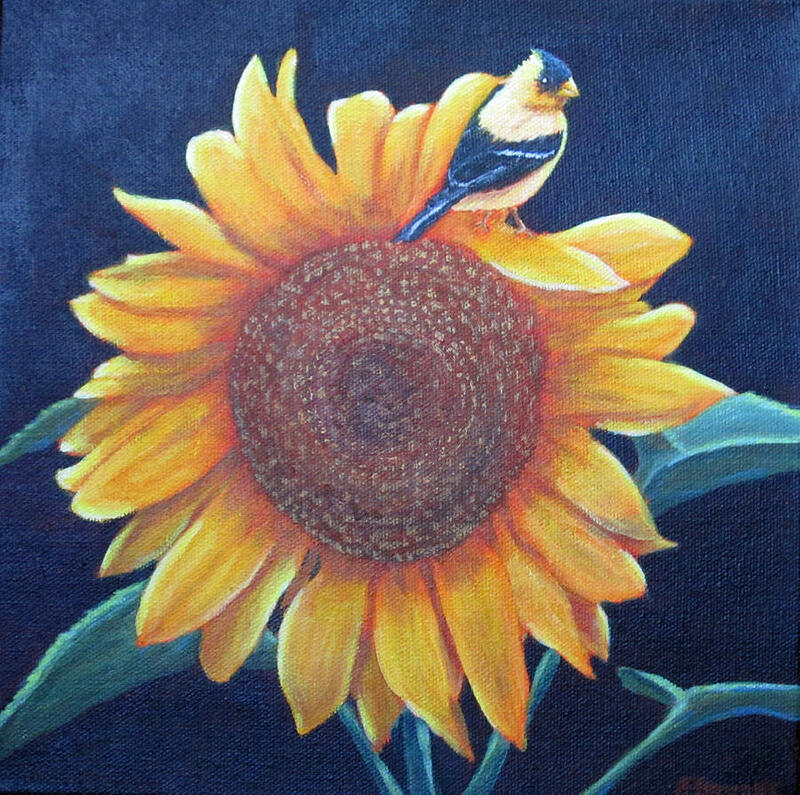 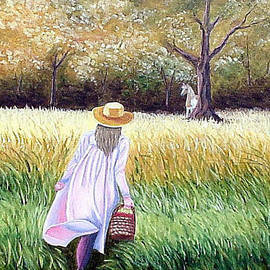 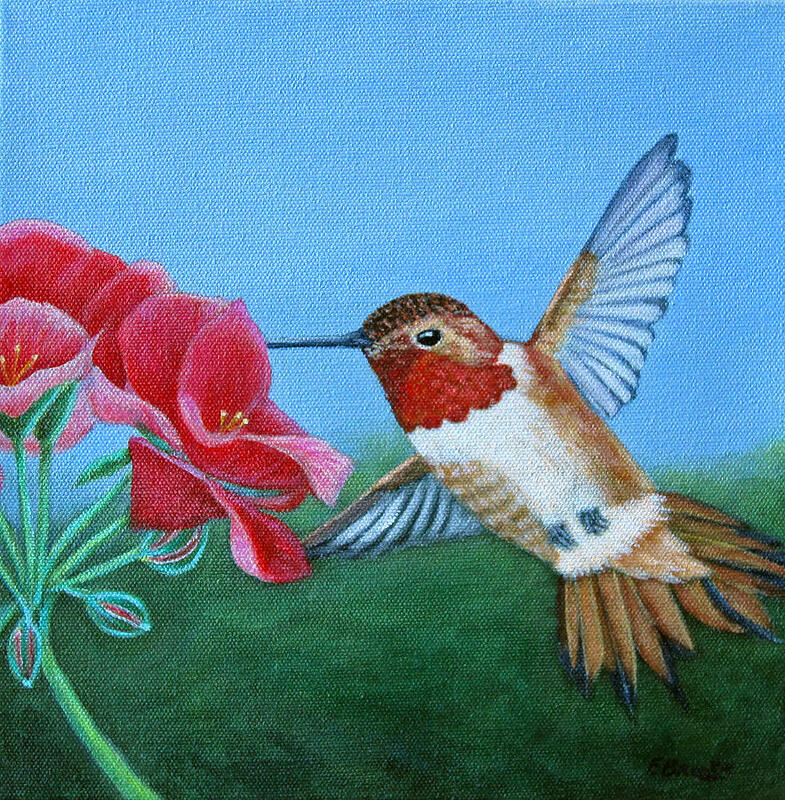 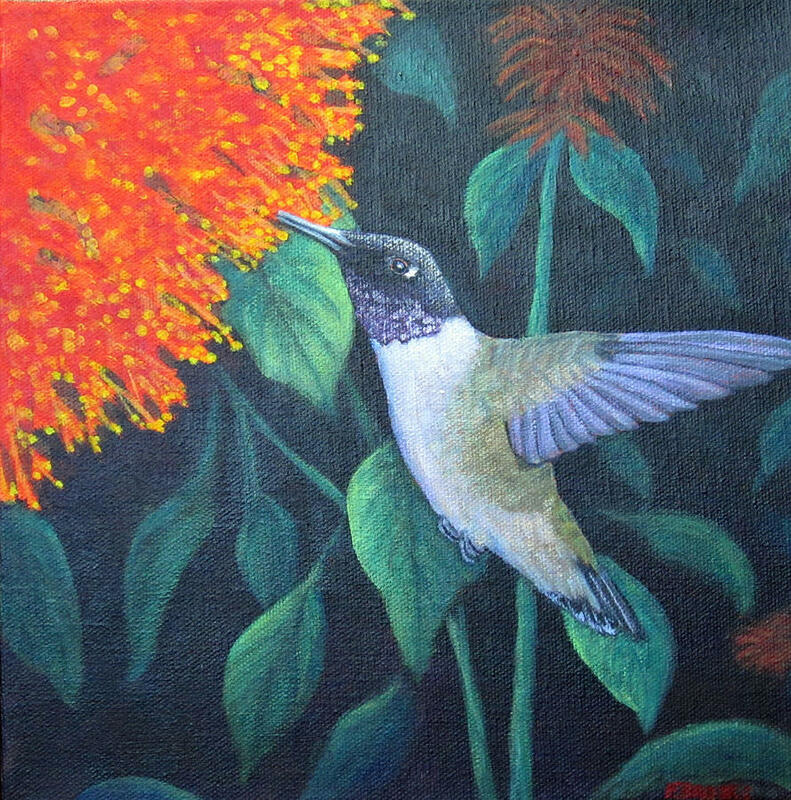 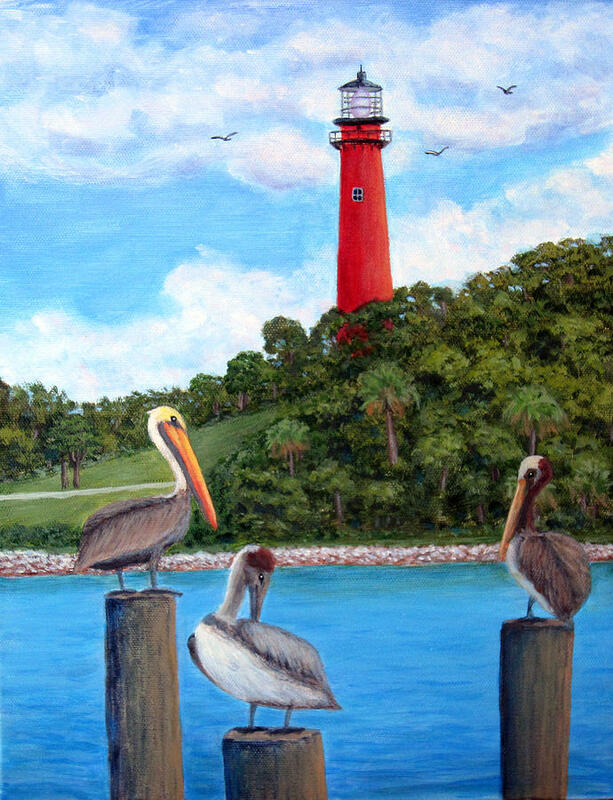 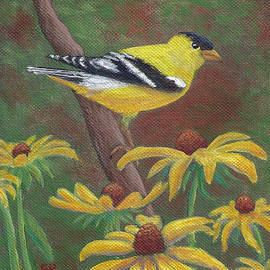 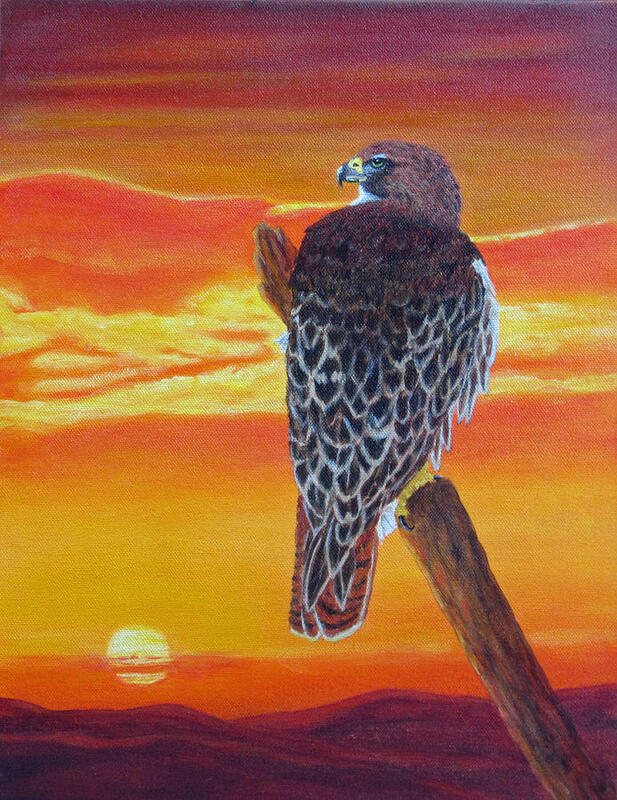 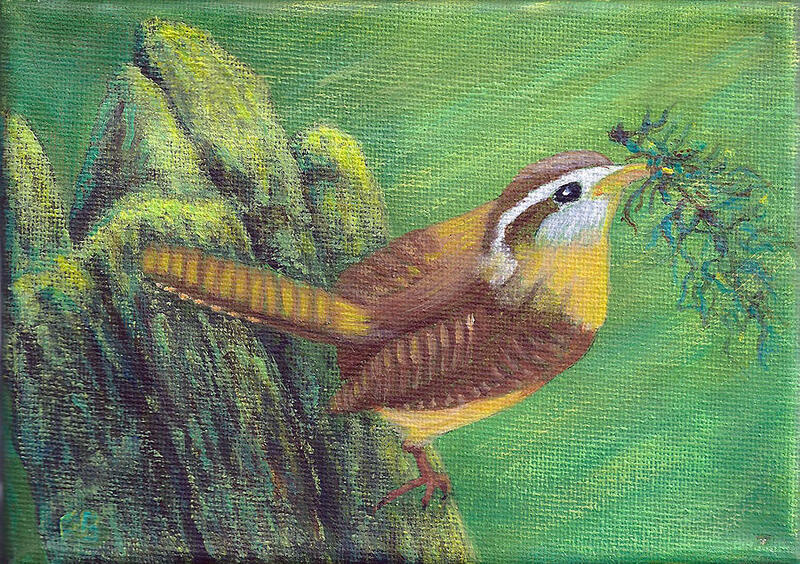 Her paintings are currently for sale at Wild Birds Unlimited in Asheville, North Carolina, on eBay (ID artistnannie) as well as her website at www.artistnannie.com or http://fran-brooks.artistwebsites.com. 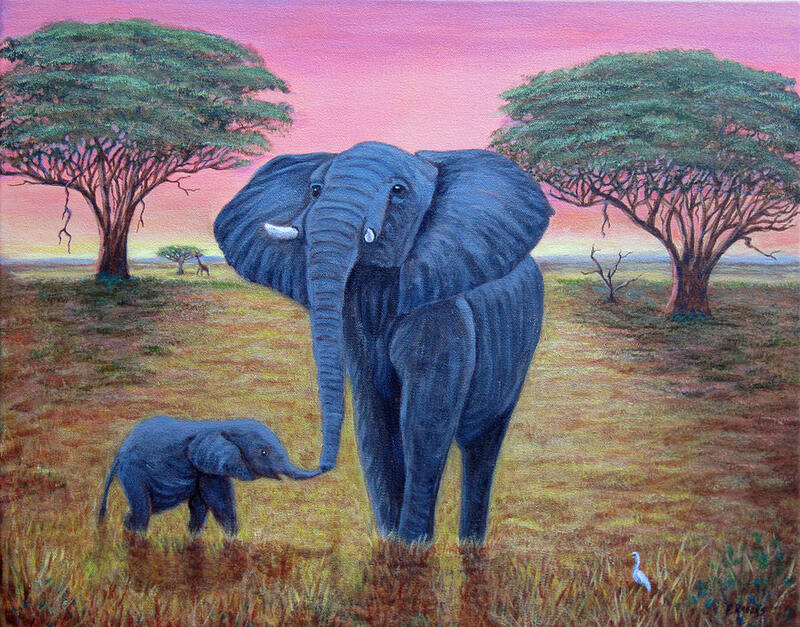 Fran's paintings hang in private collections in most of the 50 United States as well as Australia, Canada, France, Italy, Japan and the United Kingdom to name a few. 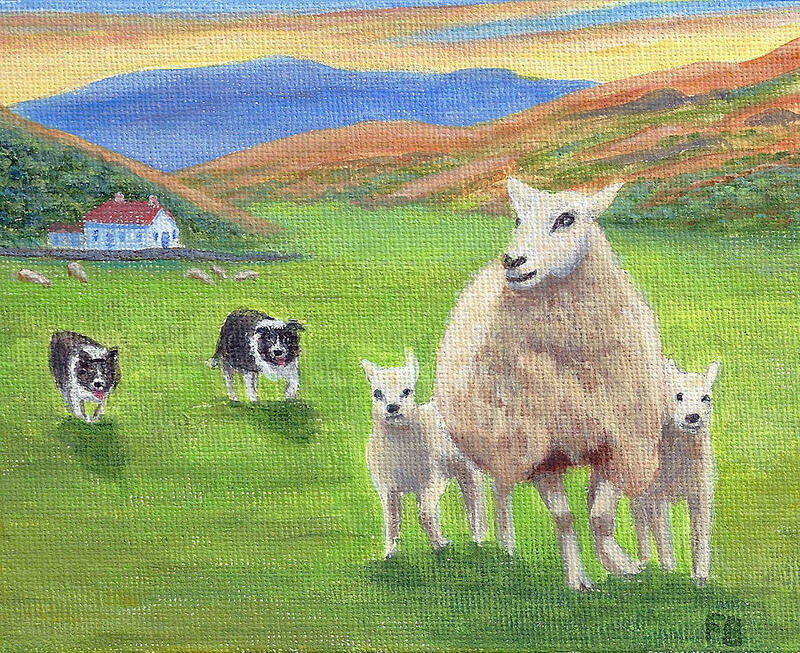 One collector paid the artist a sincere compliment by remarking that she had hung Fran's paintings in her home to replace those of an internationally acclaimed artist. 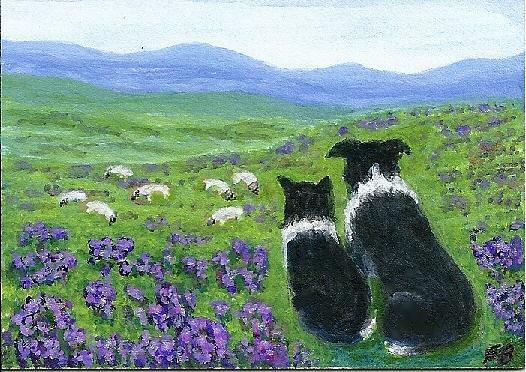 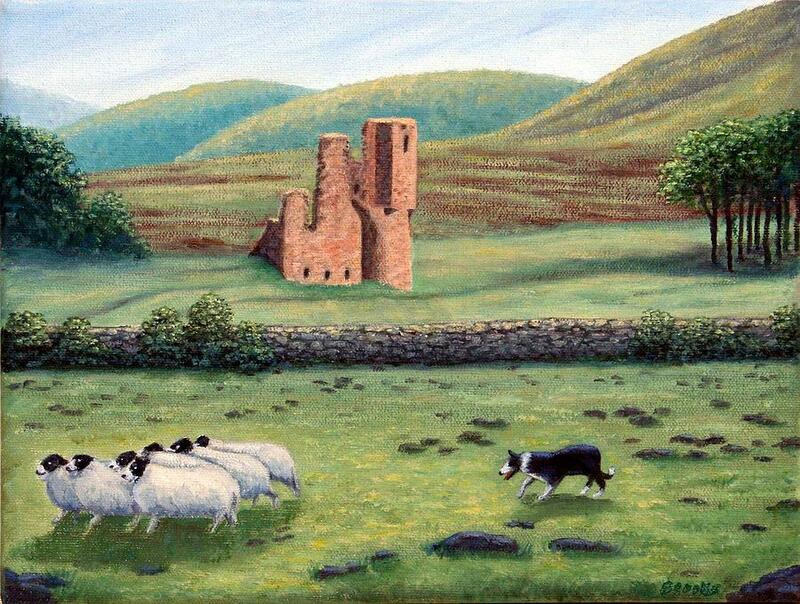 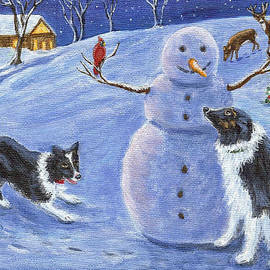 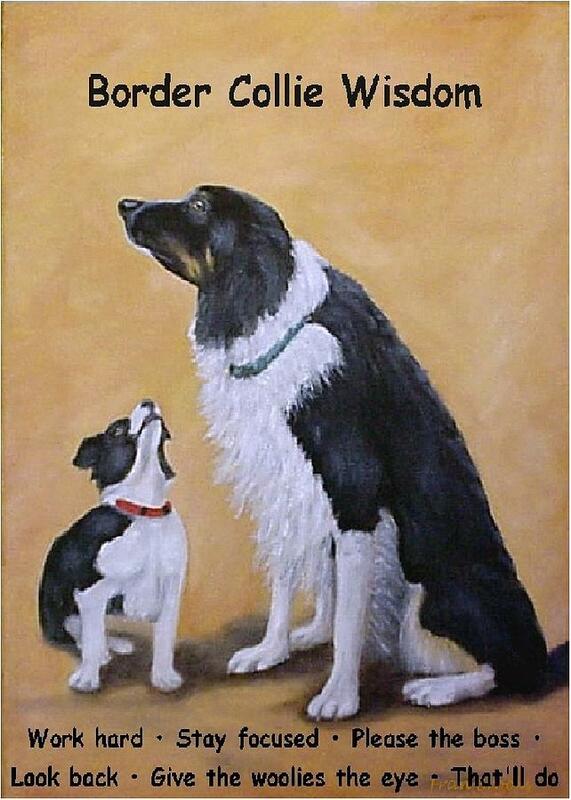 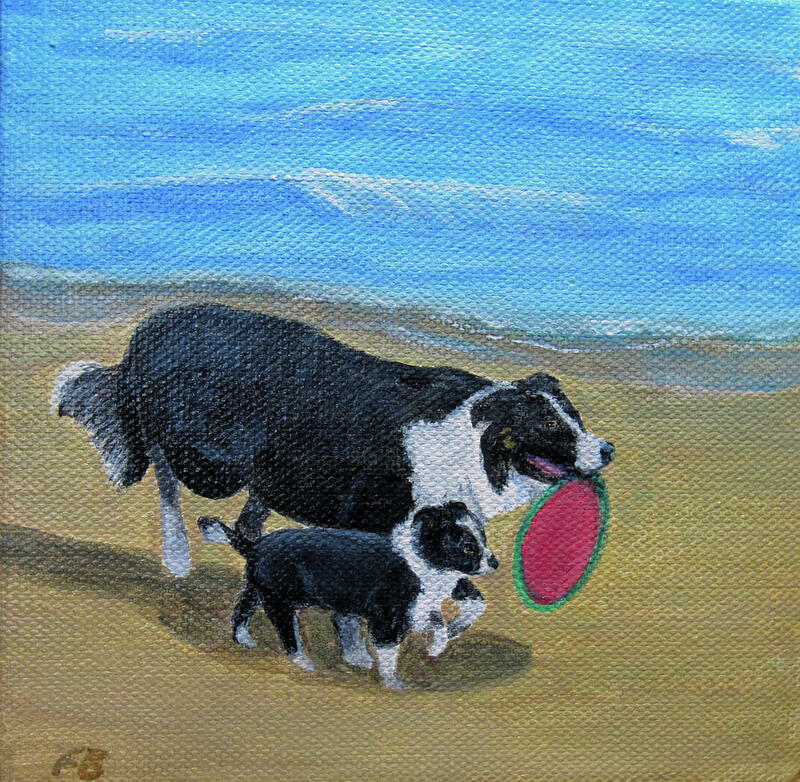 Fran has also donated paintings to help raise funds to benefit Border Collie Rescue. 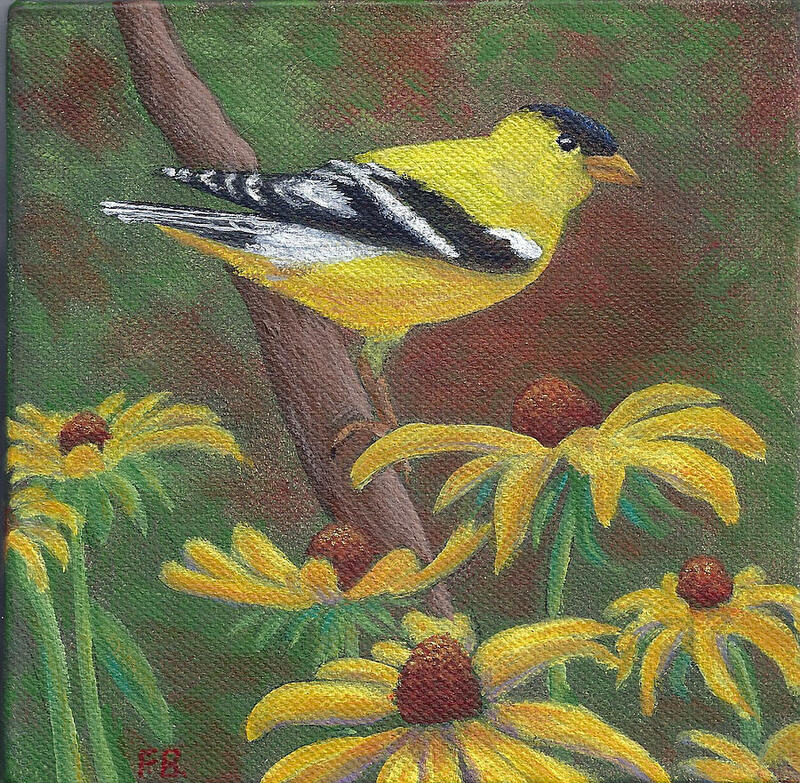 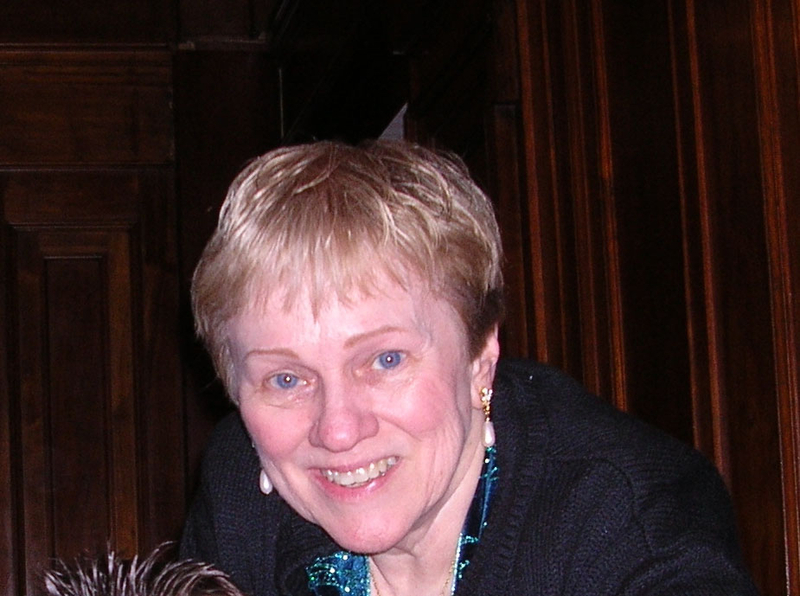 Fran is a member of Lake Lure Artists in Lake Lure, North Carolina as well as eBay art groups where she specializes in creating miniature artwork. 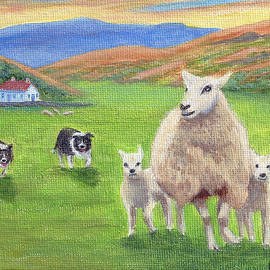 Fran's painting "Loch Maree, Scotland" was recently published in the RCVAG Art Hop 2009 book by Tatiana Potts.